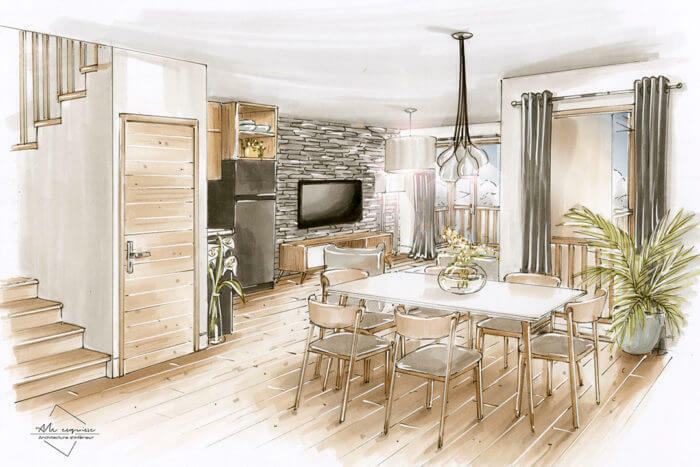 Brand new development of apartments (studios to 4-bedrooms) in Serre Chevalier (Saint Chaffrey), a traditional and postcard-like ski resort in Hautes-Alpes, the main ski resort in southern Alps. 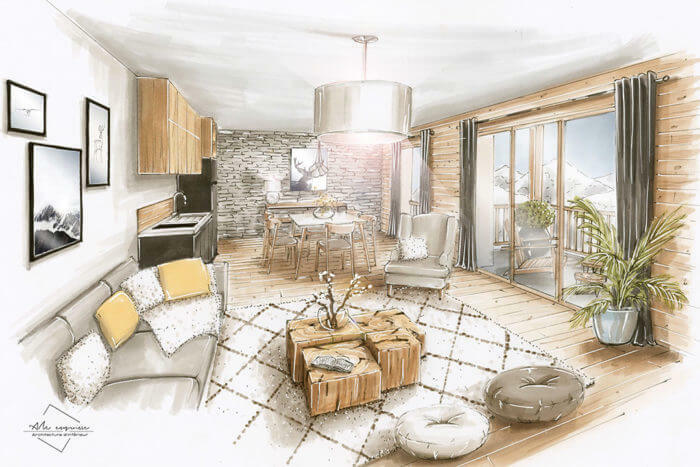 These new apartments at the Cristal Lodge (44 units) located over 2 traditional chalets sold fully-equipped and furnished | with or without rental management in place (full 20% VAT refund on price with rental agreement). The Cristal Lodge in Serre Chevalier is situated only 300m from the ski lifts and all within close walking distance from the resort amenities and shops. It is indeed a premium address that will guarantee your investment. For more convenience, the residence offers: covered parking, luggage storage, laundry and heated ski storage. A concierge services is proposed for owners. The facilities at Cristal Lodge will include an indoor swimming pool, a wellness area, a restaurant and a playroom. The apartments, equipped and furnished, benefit from a terrace or a balcony allowing you to enjoy the breathtaking mountain views. 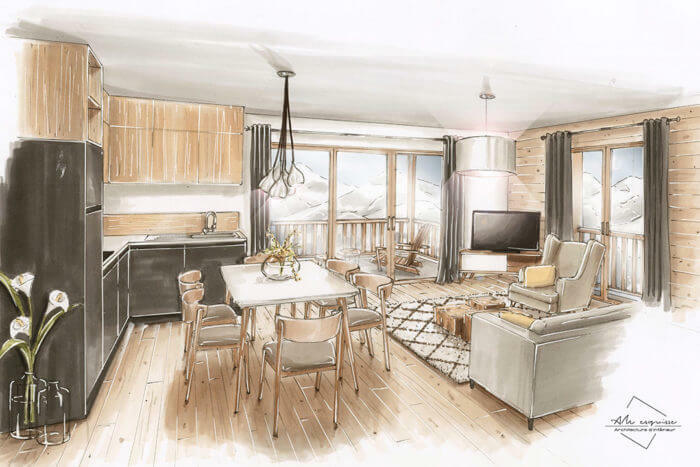 Brand new development of apartments (studios to 4-bedrooms) in Serre Chevalier, a traditional and postcard-like ski resort in Hautes-Alpes, the main ski resort in the southern Alps. 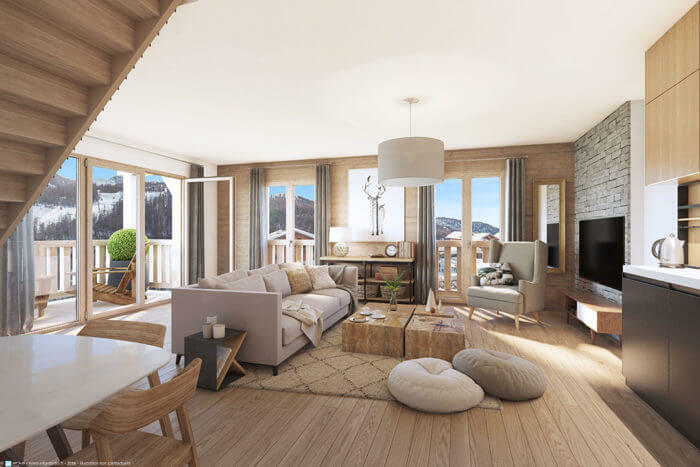 These new apartments at the Cristal Lodge (44 units) located over two traditional chalets sold fully-equipped and furnished | with or without rental management in place (full 20% VAT refund on price with rental agreement). For more convenience, the residence offers covered parking, luggage storage, laundry and heated ski storage. A concierge service is proposed for owners. The generated rental income is tax-free mostly, thanks to the amortisation of the property, contact us for more info. The investor acquires full ownership of a new property before a Notary. At the same time, the investor signs a commercial lease with the rental management company, specialising in holiday rentals, as well as a contract for concierge services to establish personalised accounting, logistics and rental assistance. 1. Owners reserve the right to occupy their apartment whenever they wish. 2. Owners can also choose to optimise their rental profit at any time by spending less time at the property. The manager contractually agrees to pay the owner a percentage of the revenue resulting from the seasonal rental of the property. 3. The owner recovers the VAT (20%) on the purchase of the property and its new furniture. This type of purchase is designed for homeowners looking for great occupation flexibility and a simplified way of renting out their property. In general, the decision to rent a property out is initially motivated by a desire to finance the condominium fees and energy costs. These owners recover the VAT (20%) on the purchase of their property and new furniture. The investor acquires full ownership of a new property before a Notary. Once the property has been purchased, it can be rented out as a furnished tourist rental (with hotel-like services: reception, household linen and cleaning) via a local estate agent or directly by the owner. 2. Owners can also choose to optimise their rental profit at any time by spending less time at the property. NB: In this case, the owner does not recover the VAT (20%) on the purchase of the property and its new furniture. In general, the decision to rent a property out is initially motivated by a desire to finance the condominium fees and energy costs. The valley of Serre Chevalier Briançon is home to the largest ski area in the Southern French Alps with its 410 hectares of pistes and its famous larch forests. Three authentic mountain villages link up with the town of Briançon, with historic Vauban fortifications classified UNESCO World Heritage, to form Serre Chevalier Vallée. 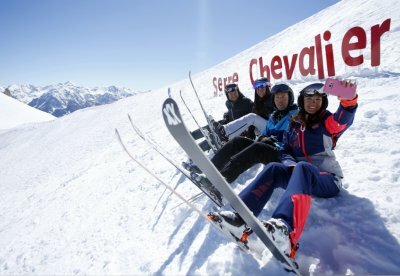 Exceptional snow conditions, generous sunshine and incomparably pure air: welcome to Serre Chevalier Vallee Briançon.